If you were among those strolling through Hamburg in the somber September weather of the past week, a glimmer of color may have caught your eye at times. 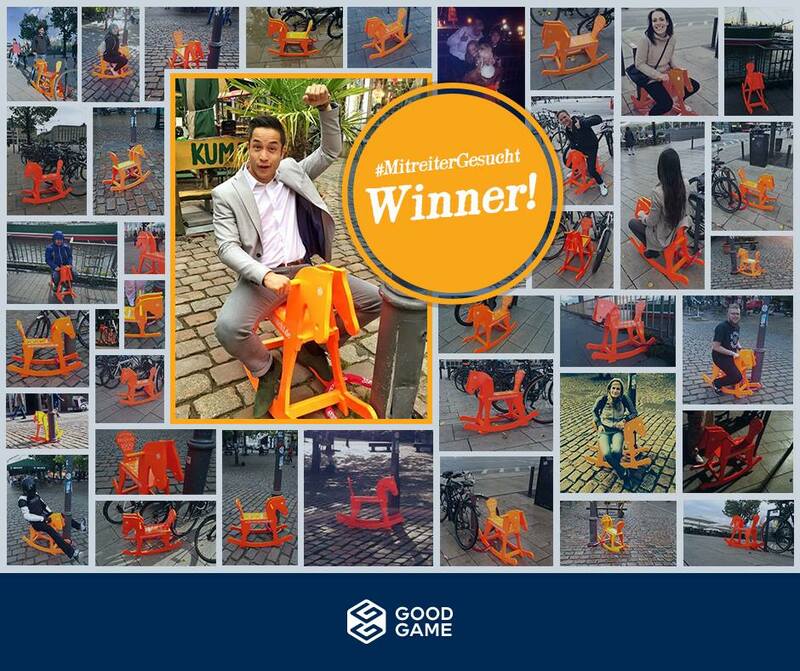 Perhaps you found one of our bright orange wooden rocking horses tethered to a bicycle stand or street lantern, waiting for its rider and calling you to take a picture of it and share it on Facebook or Twitter with the hashtag #MitreiterGesucht to have a chance of winning your dream bicycle. Our HR marketing team allegedly set these horses free and hid them around downtown Hamburg, guerrilla-style. “The goal of this campaign was to create awareness about the many vacant positions at Goodgame Studios. We also want to show that we are a company that works with out-of-the-box concepts, and that we’re looking for applicants who love innovation just as much as we do,” explained Laurent, our HR marketing designer and creative lead of the campaign. The horses were in the spotlight for five days and enjoyed even more limelight from snap happy passersby. 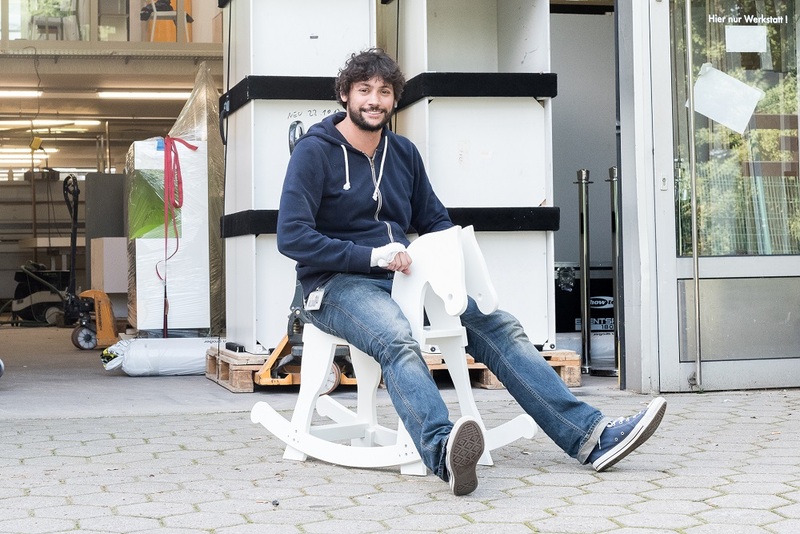 During this time, Goodgame Studios’ social media sites were also hosting a horse-finding campaign so that even the less adventurous Hamburgers and tourists could find the hidden horses and take part in the fun. The horse finders found all the information they needed at mitreitergesucht.de. The action peaked when one of the horse finders was drawn as winner of a bicycle worth 1000 euros. The lucky winner, Robin, reacted with an appropriate: “Howdy and yeeeeeeeeeeehaw! I’m so excited! This is so COOL!” We’re celebrating along with him and wish him lots of fun riding off into the sunset on his new two-wheeled steed! In the meantime, the horses have returned to their stalls, but the hunt for a new job is still a worthy pursuit. If you’re interested in riding with us, check out our positions at http://www.goodgamestudios.com/careers/jobs/!